Home › Michael R. Taylor, J.D. Michael R. Taylor, J.D., is a research professor of health policy at the George Washington University School of Public Health and Health Services, where he focuses on public health institutions and food and drug law and policy. Mr. Taylor has more than three decades of experience in health policy. His research interests include policy, resource, and institutional issues that affect the success of public health agencies in carrying out their prevention missions, with a particular focus on the FDA and CDC and ways in which federal, state, and local public health agencies interact. Currently, Mr. Taylor also chairs the steering committee of the Food Safety Research Consortium and is a senior fellow with the Partnership to Cut Hunger and Poverty in Africa. Mr. Taylor received his J.D. from the University of Virginia. He worked at the U.S. Food and Drug Administration in several capacities between 1976 and 1980, and again from 1991 to 1994. His roles there included the staff attorney and associate chief counsel for foods, the executive assistant to the commissioner, and the deputy commissioner for policy. Between 1994 and 1996, Mr. Taylor served as an administrator of the U.S. Department of Agriculture’s Food Safety and Inspection Service. Additionally, Mr. Taylor worked in the private sector, where he established and led the food and drug law practice in the Washington, D.C. office of King & Spalding, and later was the vice president for public policy at the Monsanto Company. Prior to joining George Washington University, Mr. Taylor was a senior fellow at Resources for the Future and a professor at the University of Maryland School of Medicine. Currently, Mr. Taylor is the principal investigator on a HCFO grant that was funded under the special topic solicitation in public health systems research. 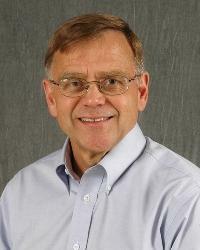 His project, “Developing and Applying a Descriptive Framework for Analyzing Food Safety Resources,” is examining food safety budget information from federal food safety agencies in the United States, as well as select state and local agencies, in order to produce a descriptive framework for public health-oriented analysis of food safety resource allocation. Mr. Taylor and his team will use the framework to describe and analyze comprehensively how federal food safety expenditures are allocated, and will apply the framework on a pilot basis to selected states and localities. This study addresses several questions, including how government food safety expenditures should be organized into public health-relevant categories, the feasibility of translating conventionally-reported budget numbers into such categories, and how resources are currently allocated. “Through this project, we hope to provide policymakers with a tool for describing and analyzing government food safety expenditures on a system-wide basis and in terms that are relevant to the public health goal of reducing foodborne illness,” says Taylor. For more information about this grant, please visit grants/developing-and-applying-descriptive-framework-analyzing-food-safety-resources.